proposes, a "Pastel meeting" from works of Claude. 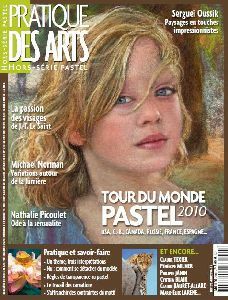 "Le pastel sec pour Passion"
Click the picture for a view of the article. 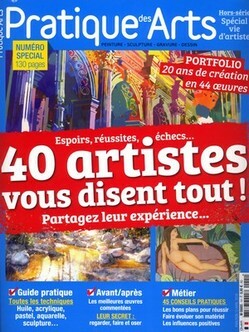 The french magazine "Pratique des Arts"
You can find also "My advice of workshop"
Text and pictures from : David Gauduchon. entitled: " the quintessence of the Light ". text and pictures by David Gauduchon. 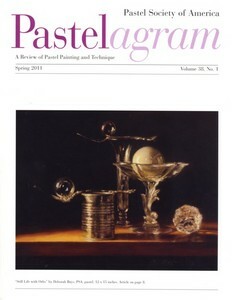 The American magazine " Pastel journal " (February, 2010) present an article on the work of Claude. 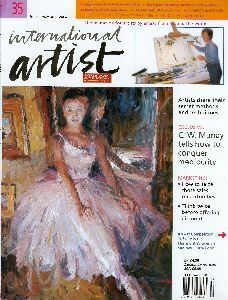 This article is of Sarah Strickley. 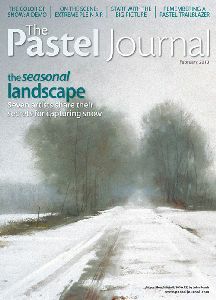 Click the magazine for an outline of the article. 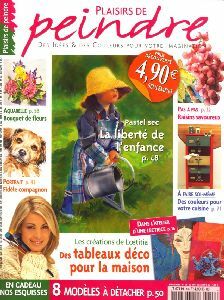 The "Plaisir de peindre " french magazine #18 (december 06 / february 07) presents an interview of Claude. 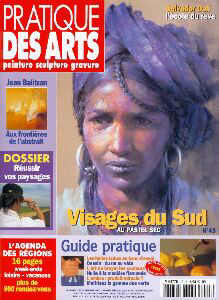 The feature is written by Isabelle Kersimon, photographies are of Sylvie Durand. 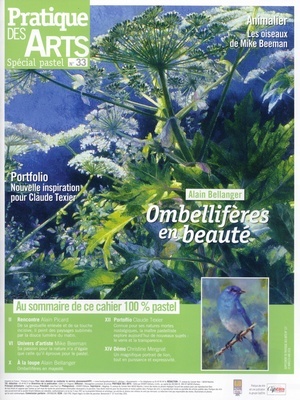 The "Pratique des Arts" magazine #71 presents a magnifying-glass painting of Claude. 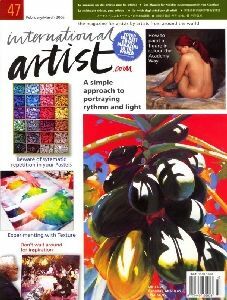 The feature is written by Isabelle Kersimon, photographies are of Sylvie Durand. Click the magazine to reach a view of the Claude's entry. 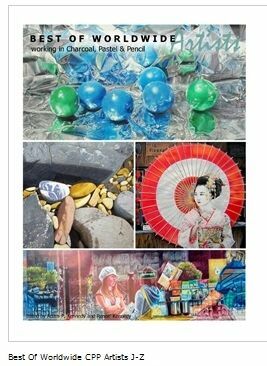 Collection of dry pastel paintings pictures from actual astists. 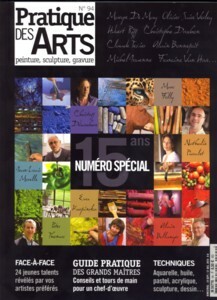 The number 35 of the "International Artist" magazine present a painting of Claude in the "Master Paster Artist of the world" part..
Click the magazine to reach the Claude's painting. 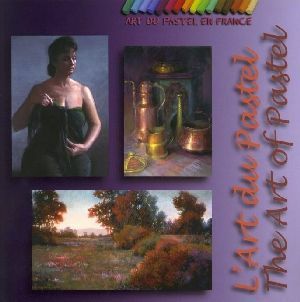 Emmanuelle Tenailleau author of the "Pratique des Arts" magazine, wrote an article which deals with Claude Texier's art of pastel. 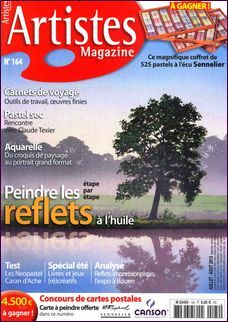 The magazine was available in July of 2002, in France. Pour toute question ou problï¿½me concernant ce site, contactez Claude Texier. 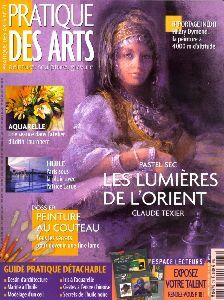 If you have any question about our site, Please e-mail to Claude Texier. Derniï¿½re modification / last modification : 20 avril 2018 .